Chewy and sweet Peeps Marshmallow Cats are a much tamer version of the infamous scary black cat. 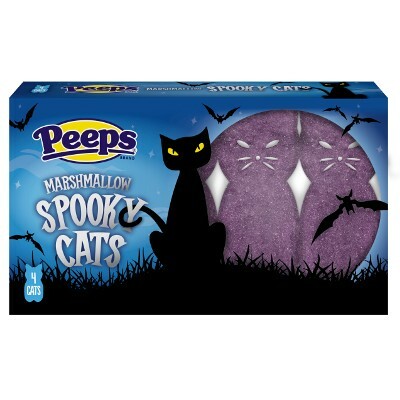 This American treat reminds you of the bad luck you could have if you cross paths with a black cat, especially on Halloween. Turn that bad luck into good by enjoying your black cats in marshmallow form. 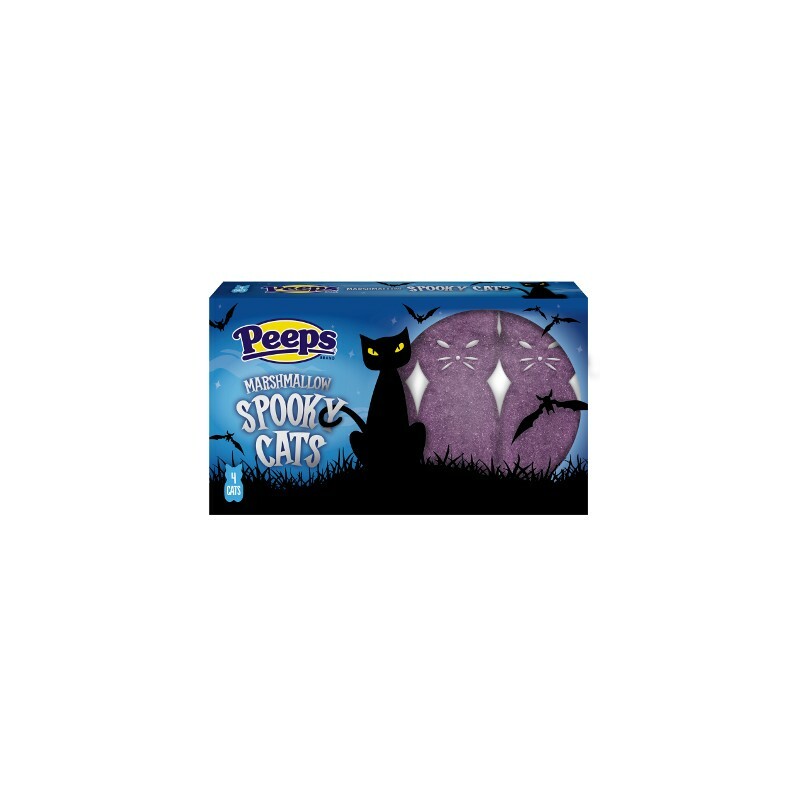 Each box of Peeps Marshmallow cats comes with four fun and flavorfully sweet treats to eat. Sugar, corn syrup, gelatin, less than 0.5% of: colors E129*-E133-E127, maltodextrin, preservative E202, natural flavors, May contain milk. *May have an adverse effect on activity and attention in children. Contains GMO. Nutrition facts (for 100g): calories 313Kcal, total fat 0g (saturated fat 0g), total carbohydrate 81.3g (sugar 71.9g), protein 0g, salt 0g.